The Western Mustangs defeated Ryerson’s women’s hockey team 6-3 on Saturday afternoon at the Mattamy Athletic Centre. It was the fourth loss in Ryerson’s last five games, dropping their record to 1-1-3-2. 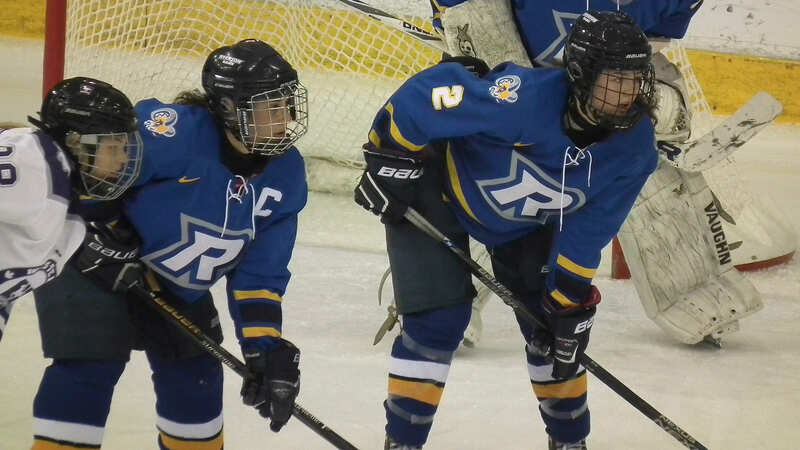 Playing against her former team, Kryshanda Green continued her hot streak with two powerplay goals and an assist, while Ryerson scored three powerplay goals in the losing effort. After going scoreless on nine powerplays to start the season, Ryerson has four powerplay goals on six attempts over their last two games. Green has scored three of those and assisted on the other, and has points in six straight games. Goaltender Katie Jacobs had 27 saves for Western. Western opened the scoring with two goals in the first period. Lyndsay Kirkham danced around a Rams defender on a one-on-one before cutting to the net and sliding it under Ryerson goalie Sydney Authier for the 1-0 lead. Seven minutes later the Mustangs made it 2-0 as a point shot beat Authier clean. They took that lead into the intermission. After Green made it 2-1, Western quickly regained their two-goal lead with their second powerplay tally of the afternoon. The Rams lost a puck battle in the corner and Western threw it on net, where a Mustang jammed home a rebound. It was the third Western goal on ten shots. Authier, who made 19 saves in a 2-1 loss to Windsor on Friday night, was replaced by Rachel Seeley. Seeley finished with 15 saves on 16 shots. After Kirkham took a slashing penalty, Green scored her second powerplay goal of the second period. Green leads Ryerson with 10 points (six goals, four assists) in seven games. Another Western goal restored the Mustangs’ two-goal advantage to the end of the second, and Ryerson trailed by a pair with five minutes remaining in the third period. The Mustangs’ hold on the game was threatened by an Alex Rodriguez powerplay tally near the three-quarter mark of the third, but two empty-net goals in the final minutes of the game secured the win for Western. The Mustangs improve to 3-1-3-0 on the season while the Rams lose home games in consecutive nights. With the loss, Ryerson falls into a tie with York for 11th place in the OUA. UP NEXT: The Rams will look to end their skid on the road against Queen’s on Nov. 12 at 2:30 pm. Ryerson’s next home game isn’t until Nov. 24 against York.